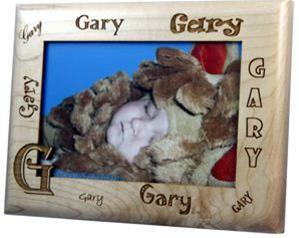 Our personalized name picture frame whimsically personalized with the first name of the person. The picture frame holds a 4x6 photo. Each Frame is Personalized with the first name of a person and their first initial cut into the picture area.